Convert MySQL tables to XML through a step by step wizard. XML output can be fully customized to contain database fields as tags and additional tags for separating records. XlsToSql is a tool to import Excel data to Sql Server. 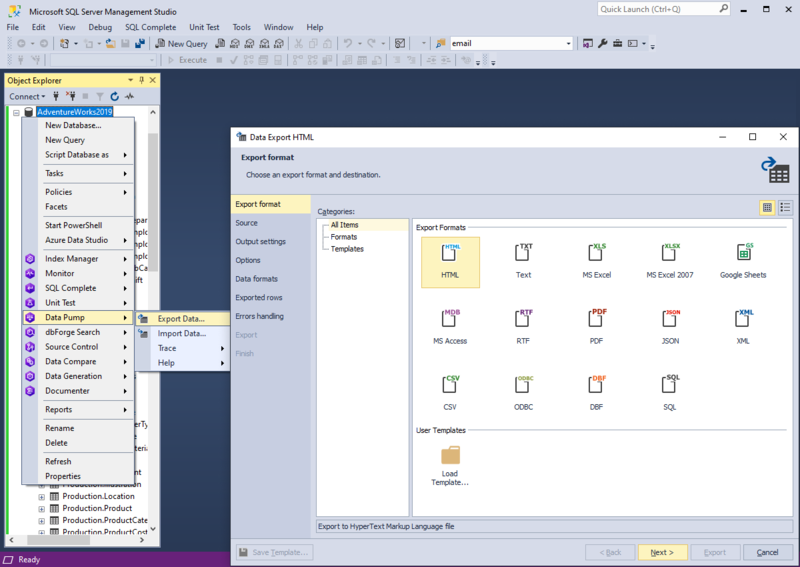 Main features: 1 Read data from excel sheet into a Sql Server table. 2 Run SQL command to see importing results. 3 Support Unicode. 4 Support text, ntext, image type. 5 Wizard - step by step. MysqlToSqlite - Import MySQL to SQLite. Main features: 1.Easy visual configuration. 2.Converts from both table and query. 3. Displays progress through time estimation. 4. Tow mode: Wizard - step by step; Direct import - efficient.